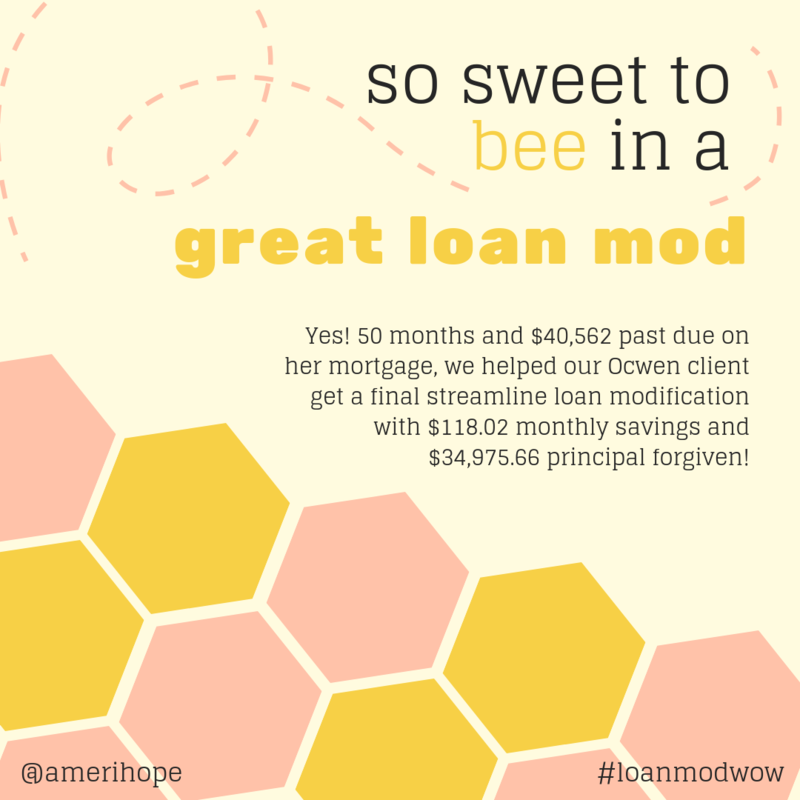 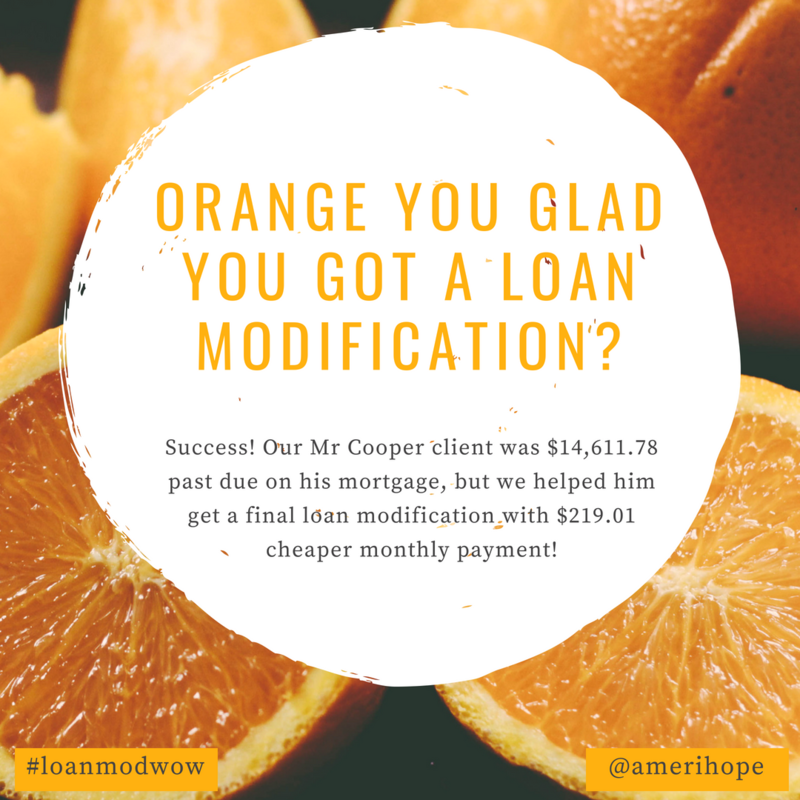 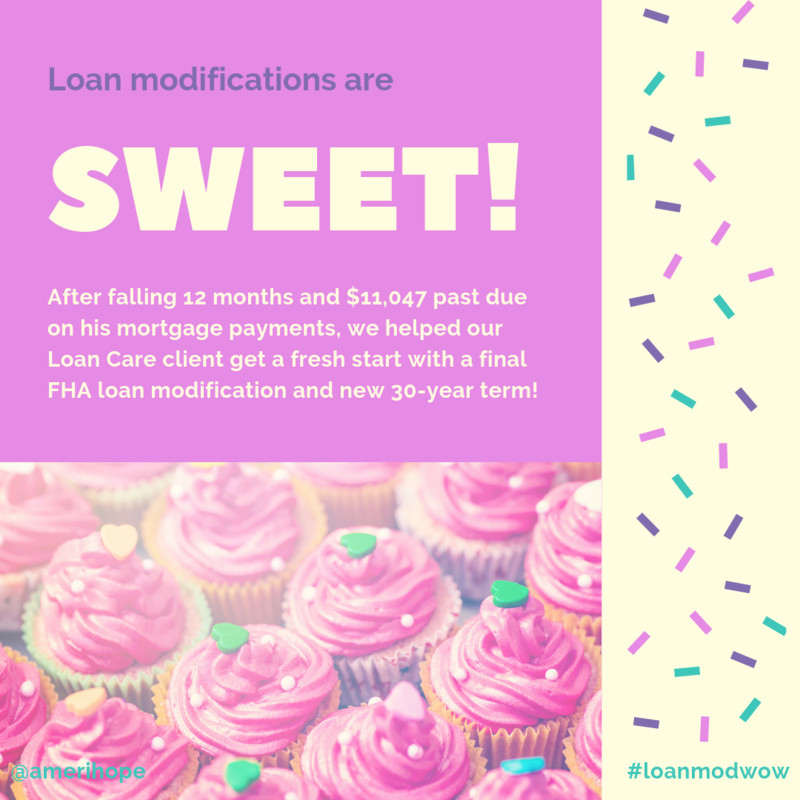 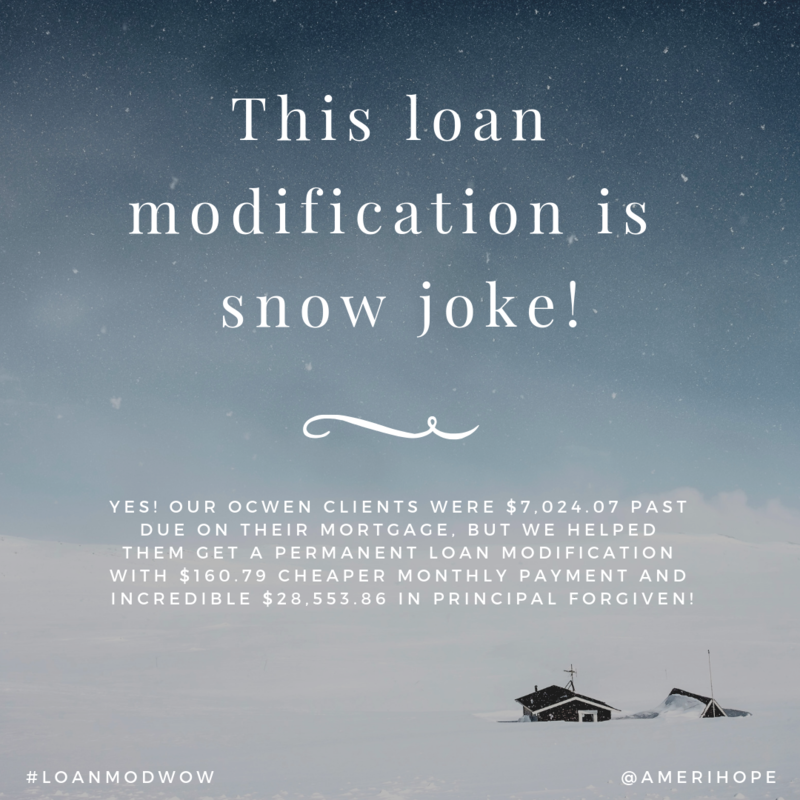 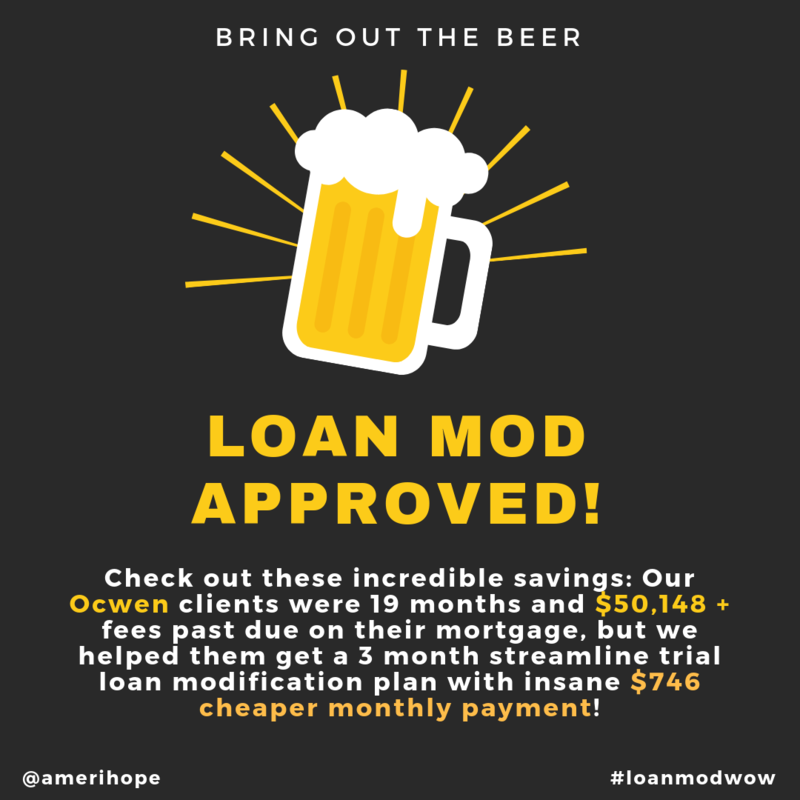 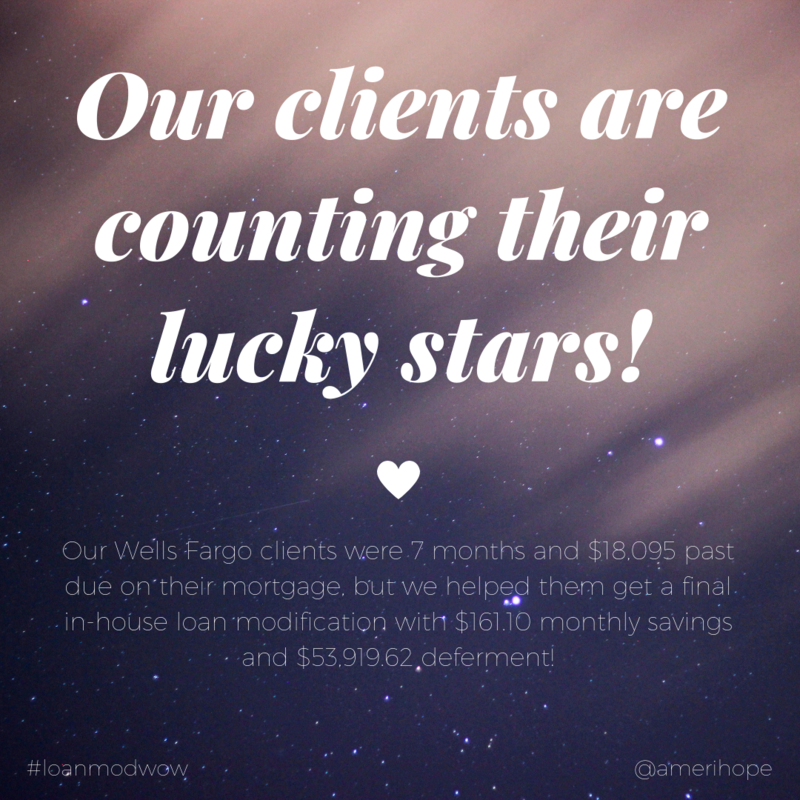 Check out these incredible savings: Our Ocwen clients were 19 months and $50,148 + fees past due on their mortgage, but we helped them get a 3 month streamline trial loan modification plan with insane $746 lower monthly payment! 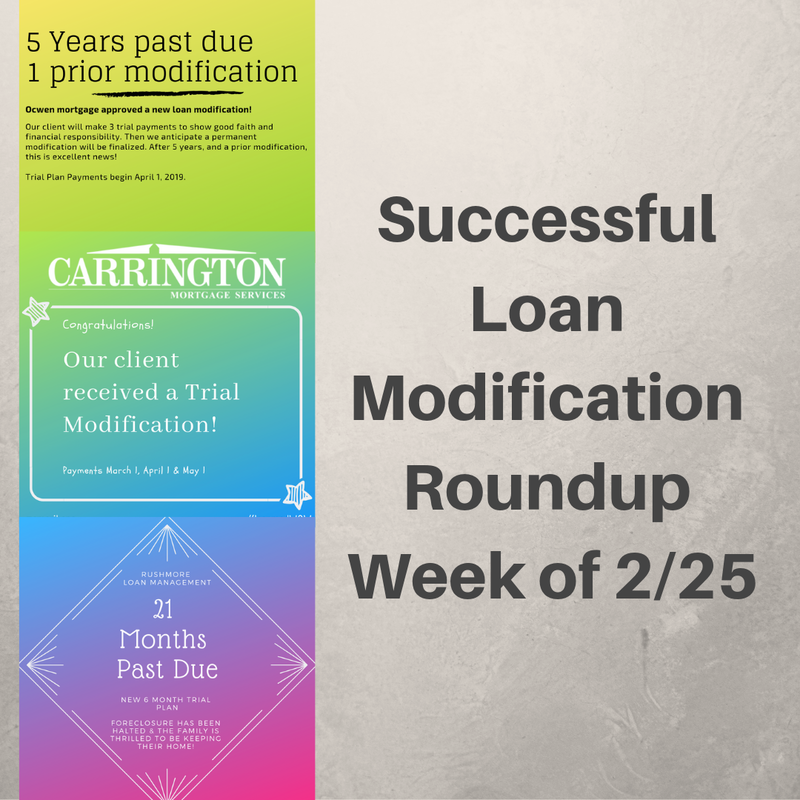 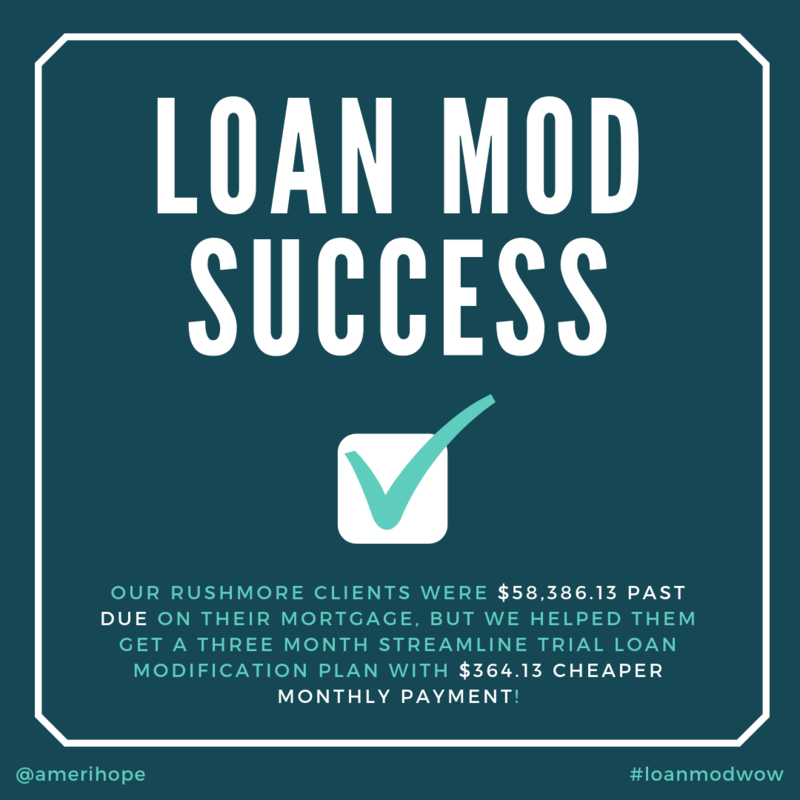 Our Rushmore clients were $58,386.13 past due on their mortgage, but we helped them get a three month streamline trial loan modification plan with $364.13 cheaper monthly payment! 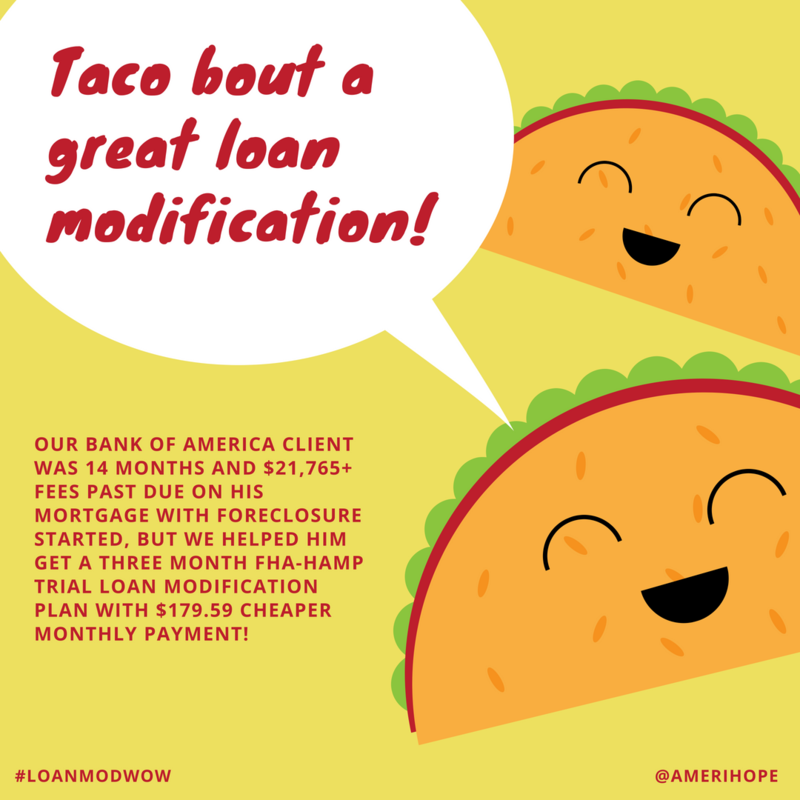 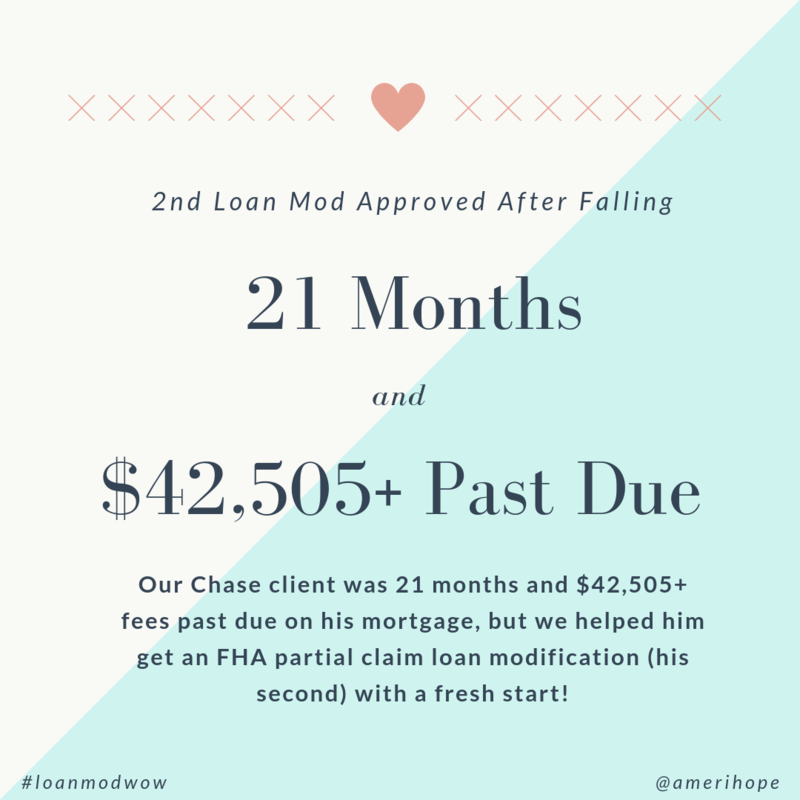 Our Bank of America client was 14 months and $21,765+ fees past due on his mortgage with foreclosure started, but we helped him get a three month FHA-HAMP trial loan modification plan with $179.59 cheaper monthly payment!